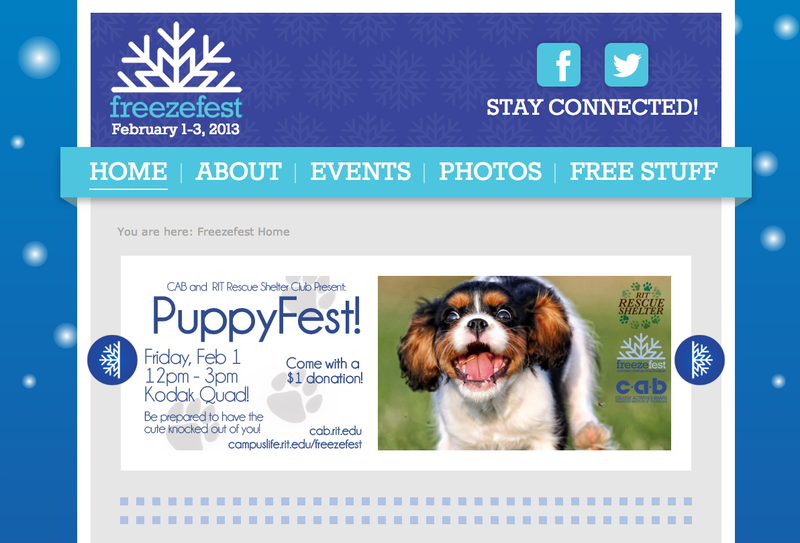 FreezeFest is an annual series of events coordinated by the Center for Campus Life at RIT. 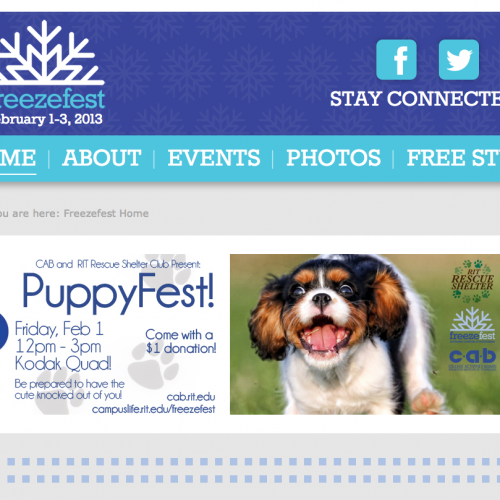 In 2013, I was given the honor of coding the website. 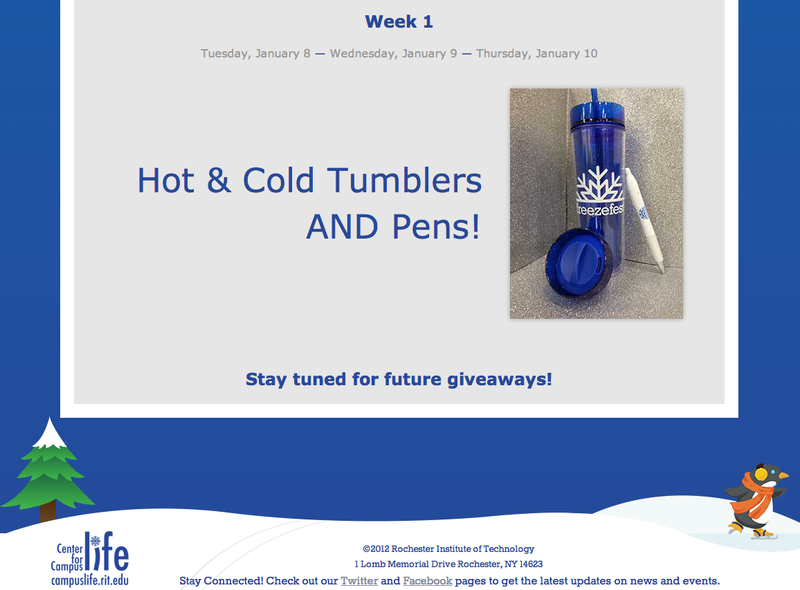 The designs, including the adorable footer drawing, were created by very talented artists from RIT. 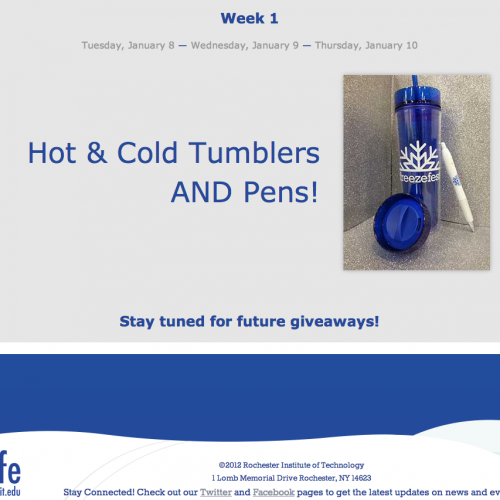 The site served to clue students in on the happenings at FreezeFest, as well as free things (such as warm clothing) that are given away during the event.